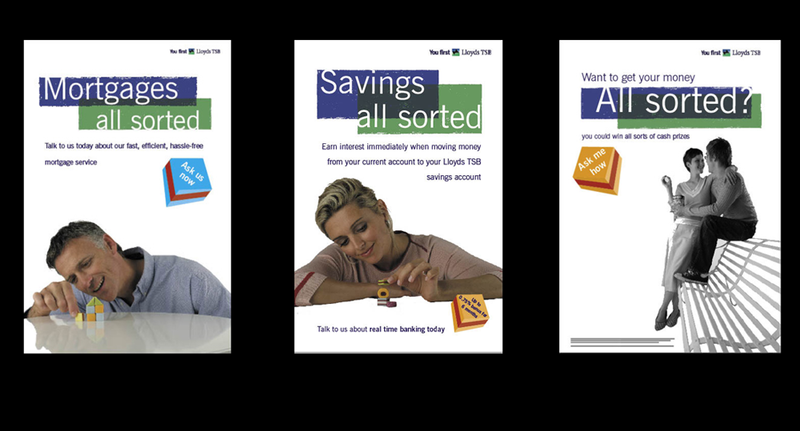 The ‘All sorted’ campaign was driven by the fact that customers stayed with the same bank for years because they tended to find that moving accounts was complex. 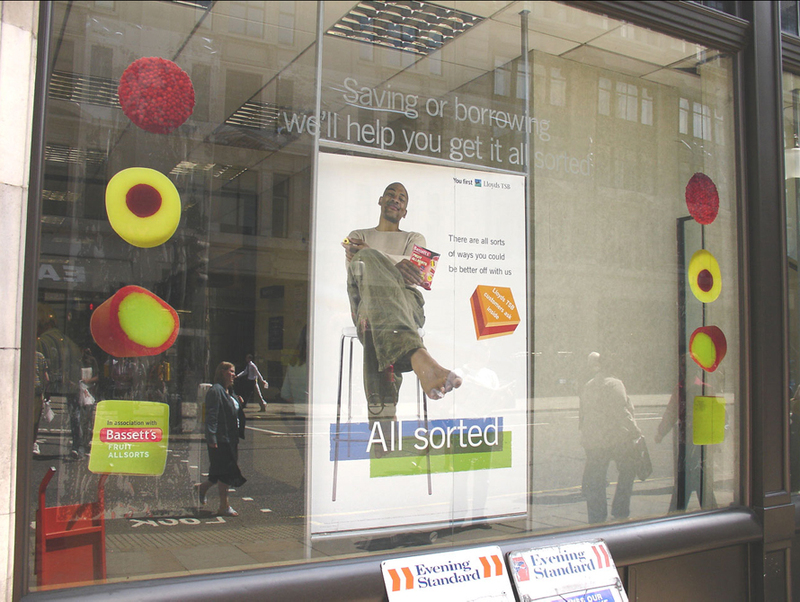 The concept used Bassett’s Fruit Allsorts sweets to represent the diversity of customers that the bank was providing a service for. 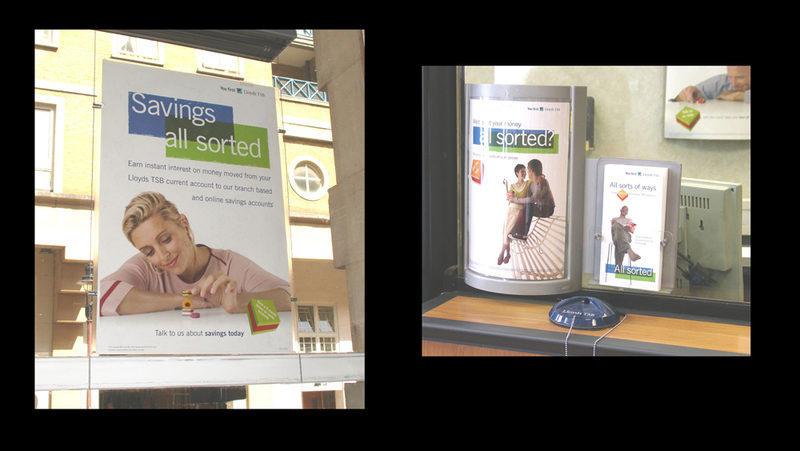 The campaign went about putting potential customers’ minds at ease, reassuring them not to worry, because Lloyds TSB would take care of everything on their behalf. 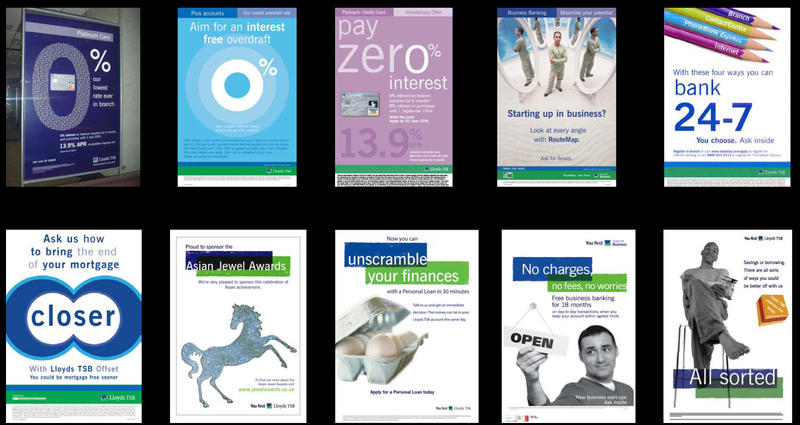 The examples shown here were a selection of in-branch posters for Lloyds TSB. 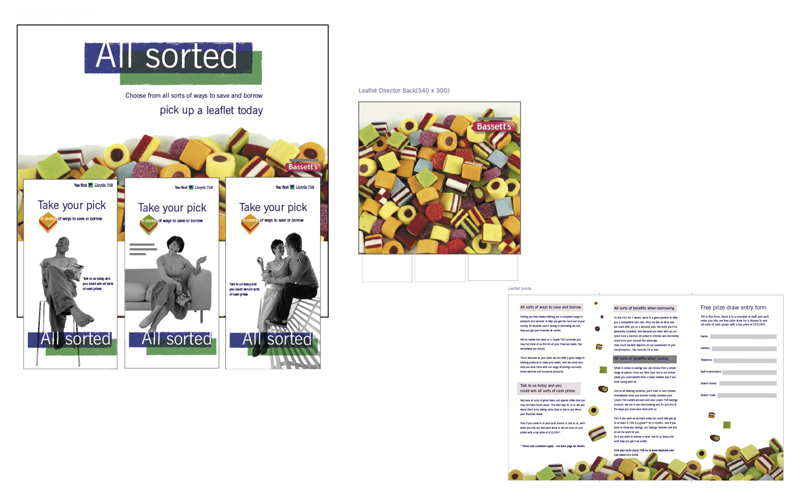 Each poster represented a complete promotional campaign. 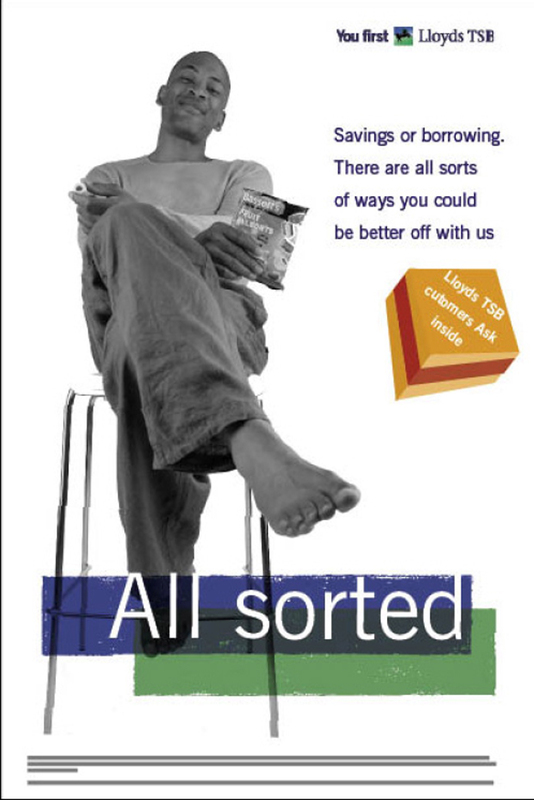 They tackled topics such as finance, credit cards, opening times and business accounts, as well as mortgages. All designs and campaigns had targets and were measured according to how effective they were. 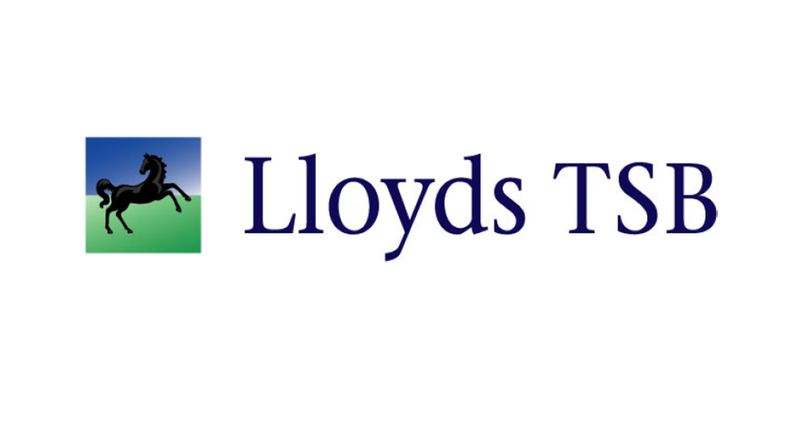 At the time they were all highly successful campaigns for Lloyds TSB. 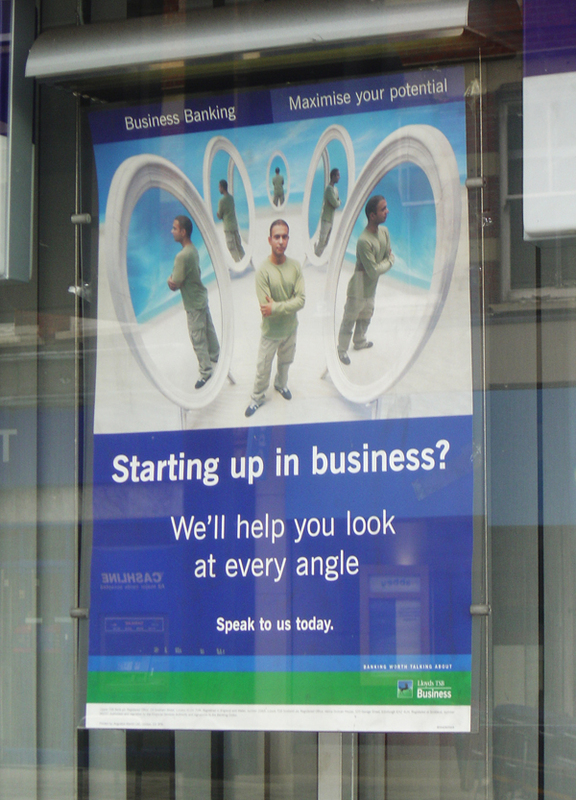 This campaign was aimed at new business customers and start-ups. It offered them not only financial loan support but also help with business planning and a range of services useful to a a new business just starting out. 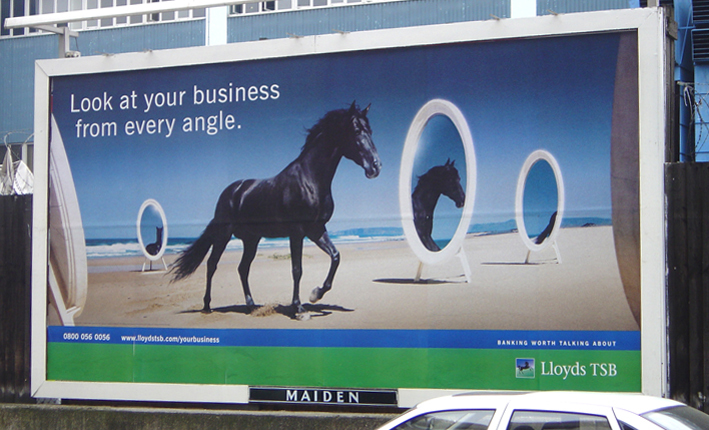 This concept used mirrors in an abstract way to convey the idea of looking at you and your business in a number of ways.